Check out some of the interesting news stories and developments affecting Texas drivers from the past month. When it comes to fighting traffic for hours on the long trips between Dallas and Houston, there may be a new silver bullet— none other than the Texas Bullet Train. This Japanese-inspired downtown Dallas to northwest Houston high-speed rail would be the first of its kind in the United States. “Would be” because it’s long felt like a rumor — but now it’s looking a lot more like a “will be.” Masaru Yosano, chief general manager of Central Japan Railway Company, tells WFAA that plans are going forward, complete with a specific time frame. Driver's ed instructors don't teach teenagers to cut across three lanes of traffic when they're about to miss a turn. The dangers of that maneuver shouldn't have to be spelled out. But this year, several drivers in Austin appeared to think that was a perfectly reasonable way to get places, according to a recently released video montage from The Dashcam store. At least nine speed traps have been reported in the city of Houston in the last year on speedtrap.org, a website monitored by the National Motorists Association. 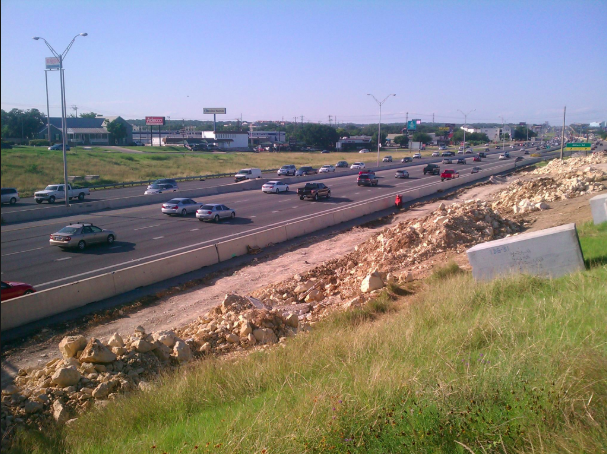 An additional 45 speed traps have been pinpointed across the state of Texas. The Houston area drivers who reported the local speed traps found police officers hiding behind bushes, idling in parking lots at the bottom of a hill or waiting near highway exits. Rain in Central Texas can be a drag. Not only do you have to worry about delay times, but you also have to worry about your safety and making it to your destination without colliding with the vehicle in front of you. State Sen. Judith Zaffirini readily admits the Texas Legislature passed a flawed ban on texting while driving. Zaffirini, D-Laredo, spent a decade trying to pass a ban that forbids anyone from typing away behind the wheel. What Texas has is a ban on sending or reading electronic communications while driving, though motorists can go right ahead controlling their stereo or typing in an address to their navigation app. The carve-outs make it almost impossible to enforce the ban, nearly everyone agrees, but Zaffirini said they were necessary to get the bill through the Senate. "If we hadn't done that, we would not have passed the bill," she said. "It was the lesser of all evils." Texas could move one step closer to issuing digital driver’s licenses, if lawmakers approve a pilot program during the upcoming legislative session. That trial run would lay the groundwork for an alternative form of identification, not a replacement for physical, plastic cards. When you see emergency lights in Texas, you’d better slow down and/or pull over. According to a South Texas news station, state troopers are done giving chances to drivers who endanger emergency responders by failing to abide by the law and are now increasing enforcement of tickets and fines. The Move Over/Slow Down law in Texas calls for motorists to clear the lane closest to emergency vehicles as they approach them, or slow down 20 miles per hour below the posted speed limit. This applies to police, fire, EMS, Texas Department of Transportation, and even tow trucks when the emergency lights are flashing. While the law has been in place for a while, the Texas State Troopers are clearly fed up with violators, issuing a strong warning and trying to appeal to the public to think about the safety of these personnel. Getting stuck behind a car on a two-lane Texas highway is often why drivers swerve into the opposite lane, attempting to pass slower traffic. However, new sensory software developed through a partnership between UT graduate students and the Texas Department of Transportation may be able to help with that problem, as well as with other traffic congestion and safety issues, said Darran Anderson, TxDOT director of strategy and innovation. Steven Flolid, a computer engineering graduate student, helped design the sensor system two years ago. Flolid said the software uses radars and lasers built into a vehicle to help gauge its own position as well as the relative position of other cars on the road. That information will be then communicated to other cars around it.